†See participating U.S. dealer for details and rebate form, which must be postmarked by 5/31/19. Allow 6 to 8 weeks for delivery of debit card. Offer ends 4/30/19. For purposes of discount eligibility “Service Invoice Total” does not include taxes, waste disposal, shop supply charges and deductibles. Only valid at Progressive Chrysler Dodge Jeep Ram. Cannot be combined with any other coupons or advertised specials. Does not apply to prior repairs or services or the costs of oil changes, tires, batteries, or collision repair. Retail purchases only. Must present coupon when service order is written. Limit 1 coupon per customer per service visit. Offer Expires 3/31/2019. Regular oil change includes up to 5 quarts conventional oil; Premium oil changes include up to 5 quarts of synthetic, synthetic blend oil, and diesel oil and/or special filters. Most V-6 and V-8 engines and other select vehicles require more than 5 quarts of oil and additional costs may apply. Must present coupon when service order is written. Only valid at Progressive Chrysler Dodge Jeep Ram. Cannot be combined with any other coupons or advertised specials. 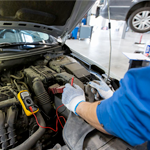 Does not apply to prior repairs or services or vehicles that are not serviced by Dealer. Retail purchases only. No appointment necessary. Limit 1 coupon per customer per service visit. Offer Expires 3/31/2019. Valid on most cars and light trucks. Only valid at Progressive Chrysler Dodge Jeep Ram. Cannot be combined with any other coupons or advertised specials. Does not apply to prior repairs, services, specialty or off-road vehicles, or wiper blades not purchased at Progressive Chrysler Jeep Dodge Ram. Retail purchases only. Must present coupon at time of purchase. Limit 1 coupon per customer per service visit. Offer Expires 3/31/2019.